Handmade paper vessel, made from abaca and cotton pulp. 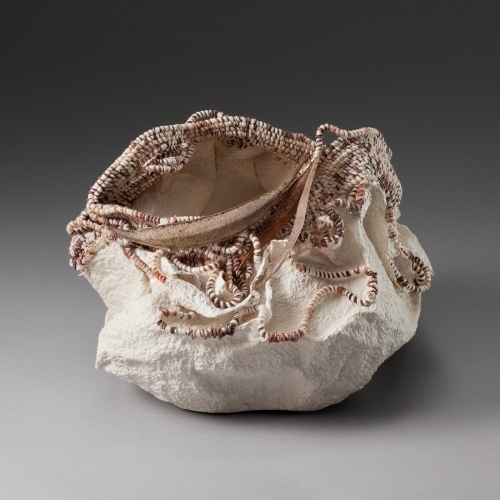 The opening of the vessel is woven with cord wrapped in threads. Trumpet vine pods are sewn onto the surface.